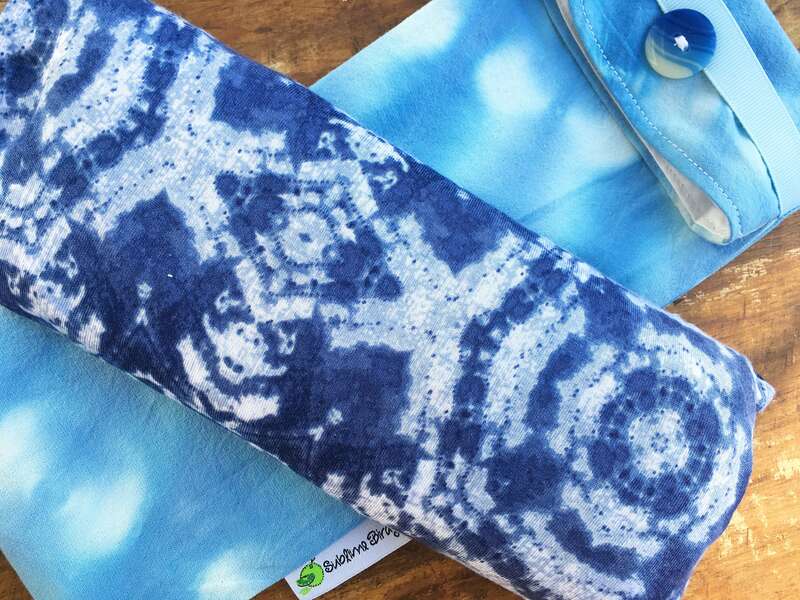 Soothing Blue Flax Eye Pillow with Washable Flax Sack Cover, you choose aromatherapy scent! 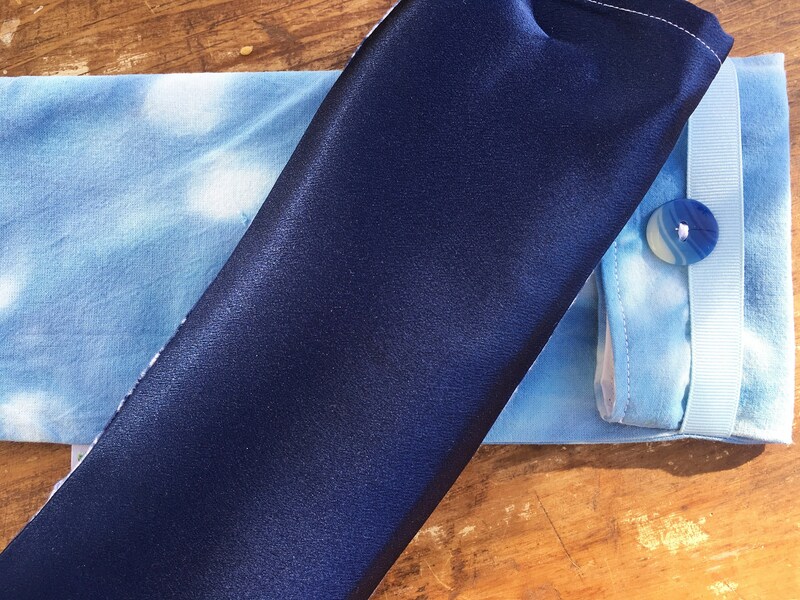 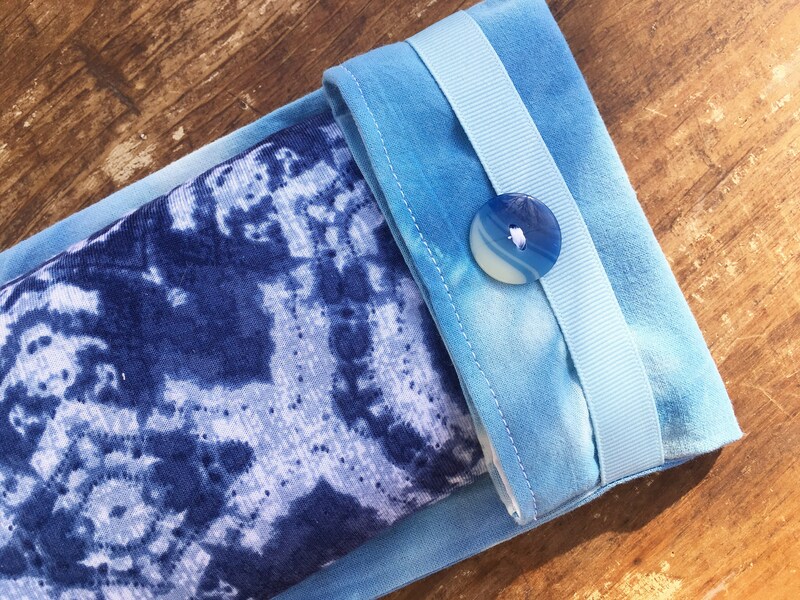 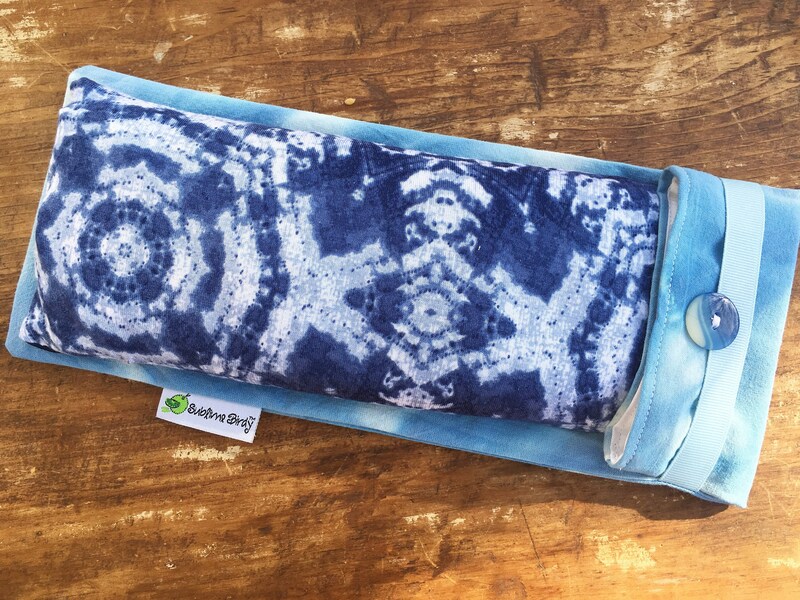 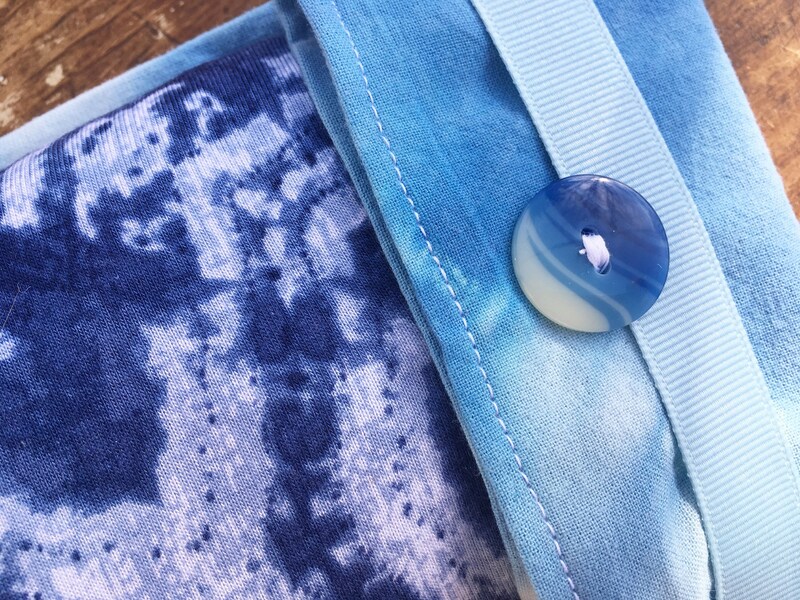 This soothing flax seed eye pillow is made up of soft dark blue tie dye fabric on one side, cool dark blue satin on the other. 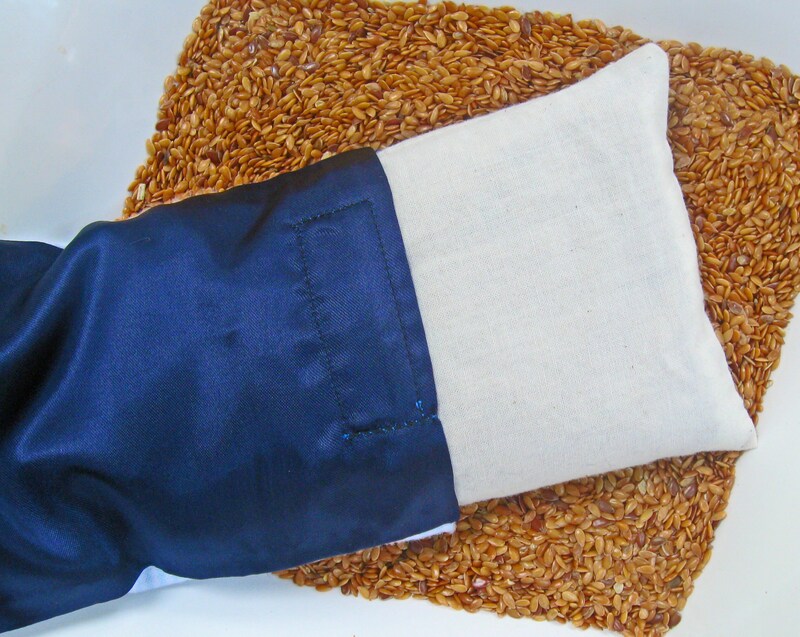 The flax seed eye pillow includes a removable flax sack and blue lined cotton dust cover to keep it all clean while storing, button keeps cover closed.